On page SEO: Are your blogger or wanna start a blogger but know how to get traffic on website, How to get rank one first page of google, what is On page SEO techniques, How does On page SEO work and other SEO strategies then you are at the correct place my friend. Here we will be discussing and learning on Latest On page SEO strategy, on-page SEO factors and On page SEO optimization. How to Check my site’s SEO? First of all, Let’s see what is On page SEO or what is on-page SEO definition. It’s is a technique or strategy to SEO optimize your content following the guidelines made by the google to access the quality of content on the basis of complex algorithms and rank them accordingly. In short you can say that It’s a google ranking factor. If you wanna check your site’s SEO score then just type “On page SEO checker online or on-page SEO analyser” on google and you will be amazed to see millions of sites are their which can check your site’s on-page SEO optimization absolutely free. So, you have checked your On page SEO score and if it is good you can move to off page SEO but if your On page SEO is bad and you don’t know how to SEO optimize content. Don’t worry It’s very simple to SEO optimize your content. You just have to take care of some factors with in the content and you are good to go. In order to make you SEO optimize your content you have to take care of some in content factors that affect the On page SEO so, here is On page SEO checklist or on-page SEO tips or on-page SEO activities list you must follow while SEO optimize your article. Title tag is one of the most important SEO factor in On page SEO methods. Start your Title Tag with the primary keyword on which you want to rank your article. Make sure to put the Keyword closer to the beginning of title tag. Ideally you should always start your title with the Primary or focus keyword. Make a habit of using Modifier in your title like “2019”, “best”, “guide”, “checklist”, “fast” and “review” these words will help your article rank good in long tail version of your focus keyword. As per the SEO optimization guide of On page SEO backlinko website. Google gives first 3-5 word of URL more weightage and short URL may have extra edge in the search result. In short while making SEO friendly URL follow these rules. Never use stop words in url. Avoid using Ugly url structure with mixed characters. As is the saying “Content is the king” it’s still true and will always be no matter how good or SEO optimized your article is, if your content is not good or unable to answer the question for which user landed in your page, then you seriously need to change your content buddy. In the On page SEO checklist moz created there is an On page SEO optimization guide which explains the importance of Content very well. 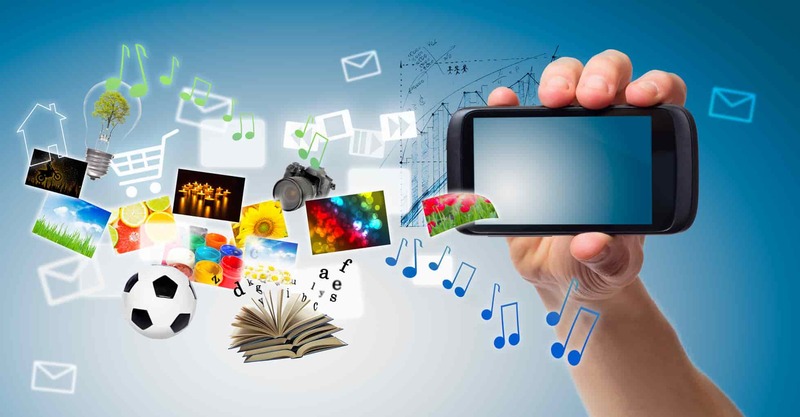 Text is important for quality article but to engage user on your site you have to take the help of multimedia as it help reducing the bounce rate and increasing the engage time of user: Two critical factors for ranking. Ok let’s take an example if i had used only texts and no multimedia you must have though the article is boring or not interesting that’s why i have used lots of images in this article and moreover, i can easily make people understand with the help of images. One more benefit you get after using multimedia is that is people likes your image they probably gonna use your images on their site and link you in the credits. Which leads to a Backlink to your site …Isn’t it Awesome. This is the Primary keyword on which you want your article to be ranked. Here comes the real on-page SEO part the “Keyword Density” in order to to make google understand what your article is all about you have to use the focus keyword certain number of time organically. Now what the hack does organically mean, So you don’t have to put keywords here and there which lead to bad user experience and poor content quality you should use keyword in such a way that reader can relate to the content and the keyword just blends in without breakin the the reading flow. 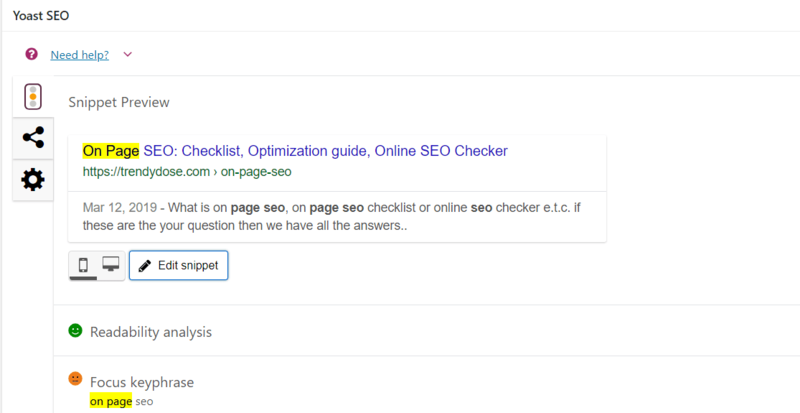 Meta tags and keywords are important as when google shows your page in search result then it fetched your Title, and content to make snippet as shown below. This is an attribute you should add while inserting image or any other multimedia in your content, coz google still content understand what is inside an image so it uses Image ALT tag to under what the image is all about. Make interlinking a habit, both internal and external. Internal linking help you to control the bounce rate while external link to quality and high authority site increase the Trust rate. This factor is purely based on content there are some rules inbuilt in the yoast according while you have to modify you article so that your content become more readable and easily understandable by all type of user.